Description: Restrictions apply on high capacity magazines for some areas in the US, please read this entire ad carefully before offering to buy. This listing is for ONE magazine. Buy 3, however, or any 3 non gun non ammo items, and shipping is Free for the entire order lower 48. Act-Mag brand magazines first showed up as Novak brand 20 years ago. Their quality is now well known. Here is Act-Mag’s standard magazine to fit Later model Taurus PT92 and PT99 series pistols, manufactured since about 1990, with their magazine release beside the trigger guard. Manufacturer is ACT-Mag s.r.l. of Gardone V.T., Italy. Exclusive Importer and warrantor is Fusion Engineering of Venice, FL. These are superbly finished blue steel magazines with high impact polymer cartridge followers and floorplates. Construction is heat treated steel body with smooth milled welded back, piano wire grade steel spring, and high impact polymer floorplate and cartridge follower. Finish is polished blued steel and semi gloss black polymer. Each magazine holds 15 rounds of 9mm ammunition: 9mm Luger, 9mm Parabellum, 9x19, call it what you will, THE 9mm. 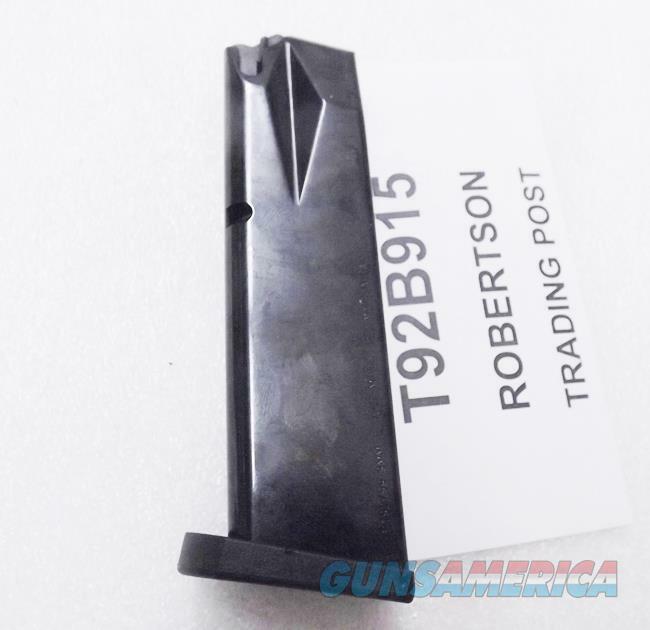 These magazines fit any Taurus PT92 or PT99 pistol with its magazine release beside its trigger guard. They also fit models PT92C with the same magazine release, only they will protrude from the 92C’s grip frame. They will NOT work in an old model PT92 or PT99 that has a European type magazine release on the left lower side of its grip frame. They can be fitted for PT911, PT915, and PT917 pistols by correctly cutting the magazine release slot. They will only fit Taurus PT92 and PT99 pistols chambered in 9mm caliber and manufactured since about 1990. Each magazine is brand new, shipped to us in bulk with protective papers. Replacement pricing on the Factory Taurus Magazines is upwards of $40 apiece in our area. We’re offering these excellent Act-Mag Taurus Magazines each, however, for only $17.00. Buy 3 Ships Free! Not for sale to civilian residents of jurisdictions where 15 round magazines are restricted to law enforcement, includes California, Connecticut, District of Colombia, Hawaii, Maryland, Massachusetts, and New York.